Alternative Medicine Works. Or Does It? We did not set out to become experts in alternative medicine. Quite the contrary. We used to think this stuff was nonsense (putting it mildly). It was only after years of research along with personal and professional experience that we, Peter Hanfileti, MD & Lisa Hanfileti, LAc, have developed an understanding of and respect for what many people refer to as complementary & alternative medicine, integrative medicine, natural medicine or holistic medicine. Combined, we have spent the past 30+ years educating ourselves and our patients, family members, friends, and colleagues about the values and limitations of alternative medicine. We have found the holistic approach to addressing pain and illness to be very effective because of the ability to individualize treatments to not only specific conditions, but to your unique manifestation of symptoms. We are research oriented, always looking for relevant data to help us make the best choices when it comes to recommending different treatment modalities, medications, herbs, supplements, exercises, etc. We are "equal opportunity" practitioners in the sense that our goal is to provide information and treatments that work, regardless of where they originated or what they are called. It doesn't matter to us whether it's Eastern medicine or Western medicine as long as it works! What forms of Alternative Medicine are there and do they work? How do I know these methods are working and are safe for me? Who are qualified practitioners of these specific techniques? Where can I go to get more information and treatment? 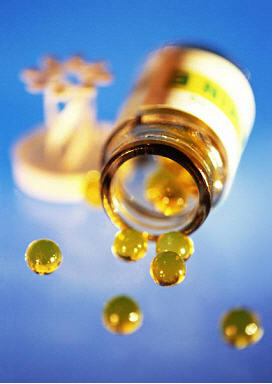 When should I integrate Alternative Medicine with my conventional treatments and medications? 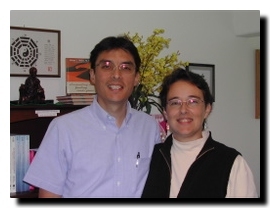 There are two of us writing this website: Peter Hanfileti, MD, Board certified in Pediatrics and Medical Acupuncture, and Lisa Hanfileti LAc, Licensed in Acupuncture and Oriental Medicine, also called East Asian Medicine. As a Medical Doctor trained in western medicine, and a Biologist with a strong background in Scientific Research, we initially steered clear of anything labeled "Alternative Medicine". In our western conventional way of thinking and scientific background anything deemed "alternative" simply meant to us that it was unproven at best and unscrupulous at its worst. We now own and operate Points of Origin, PLLC, a Holistic Health Care Clinic, where we provide many Alternative Medicine services, including acupuncture, nutritional education, herbal medicine, BodyTalk™, Colorpuncture™, and other supportive therapies. We are pleased to answer your questions about how acupuncture and our holistic medicine services can help you feel well again. Give us a call at 360-449-4500 to schedule an appointment or ask a question. We are in network providers for most of the major insurance providers in WA and OR state, however there are many nuances and variabilities with each individual policy, so please call your insurer to find out what your acupuncture benefits are. 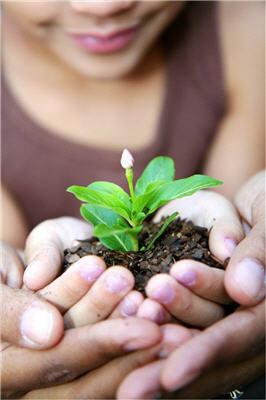 We are also happy to do our best to verify your benefits before your first visit. Just have your insurance card handy when you give us a call at 360-449-4500.